SanTana’s Fairy Tales is an oral history, storytelling project initiated by author Sarah Rafael García, which integrates community-based narratives to create contemporary fairytales and fables that represent the history and stories of Mexican/Mexican-American residents of Santa Ana. SanTana’s urban history intertwined with a traditional Mexican-folk lullaby and a haunting ghost carousel. The godmother of life or death, Zoraida grants transgente a vital wish at their last breath. Josie, a young girl caught between two worlds, the haunting past and displaced futures. Hunger, uncertainty, border crossings—a precarious family-life in our little city. One man’s perspective, a fable from the faces on the wall. A central landmark becomes a magical promenade of forgotten wishes and parallel worlds. Pilgrimage Press is looking for submissions for their journal. They have a special focus on “Renewal” and will be accepting submissions through April 3rd. Pilgrimage welcomes previously unpublished creative nonfiction, fiction, translation, and poetry submissions via Submittable and snail mail during our open calls. We generally feature one artist per issue with full color artwork on the covers and black and white artwork in the magazine’s interior. Send what you think might fit, regardless of whether or not it matches an upcoming themed issue. Simultaneous submissions are fine, provided you notify us if the work is accepted elsewhere. Our response time is approximately 8-12 weeks after the closing of an issue’s theme. Each prose submission should have a 6000 word limit. Please send up to six poems per submission. For snail mail submissions, please include an SASE for reply only. Unused manuscripts will be recycled. Members of the second triangle will be crossing over for the funeral. The mourners will be Moni’s half-sister’s mother. Half because Moni’s father had two familias. One on that side, the other on this side. There’s a lot of tension in this plot that readers will have to keep sorting out. Will Moni drink the curandera’s tea and abort? Will her father’s other wife like the daughter of her part-time husband? After all, Moni and her sister from another mother are compañeras. Can Moni defeat the anger that roils in her? The woman voice of the writer rings with the timbre of silver bells, clean, distinctive, and memorable. My favorite is “stupids.” The story is not the strongest in the collection—Granados and her editor bury “stupids” in the middle of the seven story lineup. But “stupids” takes one’s heart and thrashes it good. Christine Granados has taken a line from another wondrous poem and made it heartfelt. I sure wish that abomination De Vos would read and understand “stupids” because she would see how beautiful they are, and be ashamed. Hernandez teaches the kids, the foreign reader, they–we–too, are America. In early March, Defend PR, a multimedia arts collective, inaugurated a new traveling art exhibition called CitiCien at the Clemente Soto Vélez Cultural & Educational Center in New York City, to bring awareness to the 100th anniversary of the passing of the Jones Act of 1917. One hundred Puerto Rican artists contributed artwork to the exhibit, each in their own way exploring the US-Puerto Rico relationship. We interviewed Adrián Viajero Román, curator of CitiCien, to learn more about the exhibition. How and when did the concept behind the CitiCien exhibition come together? We at Defend Puerto Rico are always seeking new ways to fulfill its mission: to document and celebrate Puerto Rican creativity, resilience, and resistance, deepening connections between Puerto Ricans on the island and throughout the diaspora, in the hopes of nurturing greater solidarity, collaboration, and kinship. In December of 2016 I was doing research about historical dates in Puerto Rican history for my own personal art related project, when I came across the Jones Shafroth Act of 1917. Realizing March 2nd of 2017 would be the 100 year anniversary, I was compelled to put an exhibit together under Defend Puerto Rico. I began going through my personal network of friends and family of Puerto Rican artists and ask if they were interested in creating new work for this exhibit. Knowing the timeline was short, I created strict visual guidelines of 12in x 12in size and a black-and-white only palette. I wanted the exhibit to have visual consistency and commitment, acting as a metaphor of the unified voice and solidarity of Puerto Ricans during this critical political time. After receiving 60+ artists from my personal network agreeing to participate, we posted an Open Call for Artists on the Defend Puerto Rico Facebook and Instagram pages. With over 8,000 followers on both pages, I selected the remaining 40 artists out of the submissions we received. What were some of the motivations and challenges of putting together the exhibit? One of the main motivations to make this exhibit a reality was the opportunity to bring together a wide range of artists that may not have exhibited together at the same time or at all. I was excited to see the new artwork the artists would be creating within the theme and guidelines because many of the artists use color and scale as part of their usual artistic expression and practice. One of the challenges I faced was not yet having a venue for the exhibit while already receiving art submissions. It was difficult to find a venue in such short notice, but I was also rejected by some venues because their fear or associating themselves with any messages of resistance within the conversation of citizenship. What does it mean to bring together artists from different generations? Do you notice any trends or particularities to the younger versus older generations? A dialogue of sorts? I think when having a platform to speak about a topic such as this one is extremely important to have a multi-generational group. I believe the major issues in Puerto Rico involving politics, economy, and even identity (and more) are because of the United States and the colonial status of Puerto Rico. It’s recorded history, there’s no denying the abuse the United states has inflicted on the Puerto Rican people and the island. So having a multi-generational group shouldn’t be something unique, it should be the norm. These struggles and oppressions are not bias, they are transcendent and have affected everyone in some way or another. The CitiCien artists are male, female, LGBTQ, older generation, younger generation, professors, students … etc, is an example of the unity that is needed in these times of crisis. The artists that are a part of this group have created art that is so prolific, I see the connections and parallels between them. What has been the response to the exhibition so far? The response has been more than I expected. Maybe it’s because I’ve been on overdrive working on the making it happen that I didn’t have time to really step back and imagine what the end result could be. We had over 300+ supporters come to the opening reception at the Clemente Soto Velez Art and Educational Center. We went from finding it very difficult to find a space to host the exhibit, to receiving emails from galleries, museums, and cultural centers across the U.S. and Puerto Rico that want to host the exhibit. We’ve had some great media coverage from NBC Latino, NPR, and PBS NewsHour as well. Where will the exhibition be traveling next and why is it important to bring this artwork to other Puerto Rican communities around the country and the island? The exhibit will be traveling to Puerto Rico in the summer, hopefully in June during the plebiscite vote for either statehood or independence. Taking the exhibit to other Puerto Rican communities around the U.S. and the island allows us to share information and history with our communities first. We share new ways to document and tell our stories with our communities that may not have access to new technologies like Augmented Reality and 360 video technology. This allows our exhibit to act as an educational tool that includes art, culture, history, current events, and technology. We want to empower our network and communities to be in control of telling our stories and build a greater community between Puerto Ricans of the diaspora and on the island. Is Defend PR working on anything in particular as far as its future plans are concerned? To learn more about the CitiCien exhibition and to see the full list of participating artists, click here. America Chavez, a Latina and lesbian superhero, saves an alien planet, enrolls at Sotomayor University and punches Adolf Hitler in the first issue of her new Marvel comic book series. But what’s being celebrated as most fantastic in this comic is that Gabby Rivera, a young-adult author who is gay and Latina herself, is writing the adventures of America. While the comic book industry has been making great strides in its efforts to reflect the real world in its characters, the same has not always been true of their creators, who have typically been straight, white and male. But the ratio of representation continues to change. 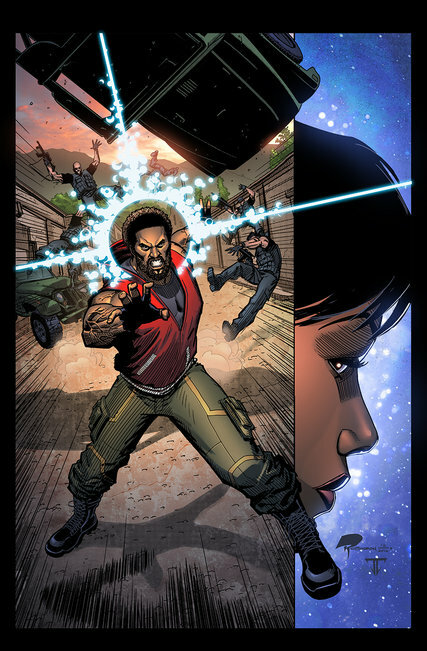 David F. Walker, who is black, is writing a new Luke Cage series for Marvel that begins in May; that same month introduces a superhero universe from Lion Forge, with a diverse team of creators and characters, including Noble, the flagship hero who is black; and this summer will see the return of Kim & Kim, from Black Mask Studios, about two bounty hunters, one a trans woman, the other bisexual, written by Magdalene Visaggio, who is transgender. They join the growing list of comic book series with diverse characters at the forefront. For a long time, “the American comic book industry has marginalized and excluded the voices of writers of color,” said Joseph Phillip Illidge, a senior editor at Lion Forge Comics. That has caused some fans to ask that characters of color have their stories done by creators of color. A Latin experience is also at the heart of La Borinqueña, a Puerto Rican heroine created by Edgardo Miranda-Rodriguez last year. 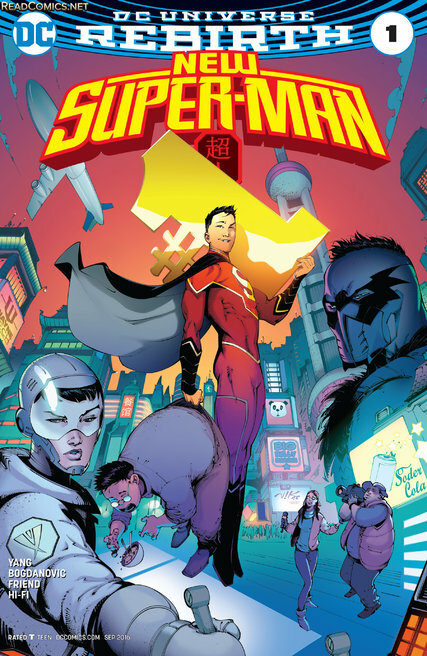 As a young fan, Mr. Miranda-Rodriguez said that he did not find characters who looked like him, but he managed to forge connections with alien all-American heroes, billionaire orphans and warrior women. Now, as a father of two, he demands more. “When you grow up, not seeing yourself, it slowly eats away at you,” he said. In the world of independent comics, Love and Rockets, by the brothers Gilbert and Jaime (and sometimes Mario) Hernandez, has been one of the most consistent depictions of Latinos. Fantagraphics has published the series since 1982. “One of the conscious decisions was to have people of color because that’s what I knew growing up,” said Gilbert Hernandez, who is Mexican-American. He noted that the younger generation, which is always more progressive, has come to expect multicultural depictions. A more welcome remake happened recently in the pages of Midnighter & Apollo, from DC Comics, written by Steve Orlando, who is bisexual. Mr. Orlando reintroduced Extrano, a suicidal H.I.V.-positive gay man named Gregorio, who debuted in 1988. Gregorio now shuns his Extrano persona and is more confident. 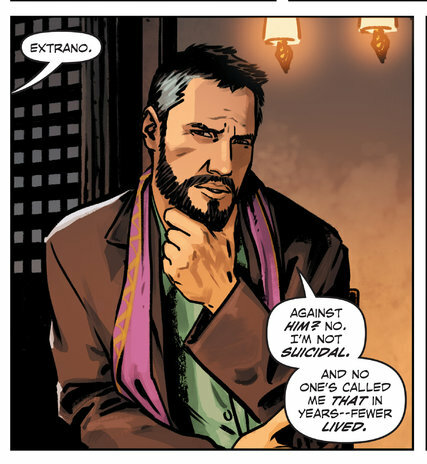 “With a book like Midnighter & Apollo, which from cover to cover is a love letter to queer characters and our struggle to live, be visible and love, it felt right to return to one of the first and reintroduce Gregorio to a new generation,” Mr. Orlando said. I was stunned, but then I wasn’t really surprised that something like this happened to me. Over the years I had heard about such encounters from mentors and friends about that moment of honest misunderstanding or, at worse, of stereotypical assumptions about race and ethnicity. When people of color come together, this exchange of anecdotes is inevitable: being mistaken for the cleaning staff, a receptionist, a loiterer, a transient, because our professions and vitae are not visible on our skins. We tell these stories because the consequences of the exchange is immediate embarrassment, mortification and maybe even hurt feelings — the painful reality that no matter how much we achieve, we’ve just been reminded about how other people really see us. Shaking our heads together is a way to cope with micro-aggression. We tell these stories to each other because there’s rarely an opportunity for examination or satisfactory explanation. We usually leave the encounter never certain of what really transpired. And the unfairness of it all is that we must speculate about actions and ponder questions during the sleeplessness that inevitably follows. At night the irritation becomes amplified. Being an academic or an artist doesn’t spare us the indignity of being devalued. The hard lesson is that respectability doesn’t protect us, and neither does being a part of a liberal space; being an academic or an artist doesn’t spare us the indignity of being devalued. Since becoming a college professor, I have had more stories to share: the time I went to the dean’s apartment for a dinner party with a bottle of wine in my hand and was mistaken at the door for a delivery man; the time I was stapling a lesson handout in the department copy room and was mistaken for the office assistant — how could I, in my brown body, exist beyond such roles? I thought that as I matured I would develop a thick skin about these failures of the imagination, but I discovered quite recently that I have not. Maybe it’s the times, the belief that being a model citizen would shield a person from expulsion or deportation is under serious threat if not debunked altogether. The expectation that immigrants could actually earn a place at the table has become a precarious promise of the American dream. Picture it: Chicago, 2017. I am on assignment for a literary magazine to interview an up-and-coming Latina talent from the area. I ask her to meet me at the building housing a renowned literary foundation and its library. The hook of her story, and mine (and why I had a sentimental reason for pitching the article), is we were both inhabiting cultural spaces from which our communities have felt excluded. About 10 minutes into our conversation we are asked to leave for talking in the library, which was empty of any patrons except for us. The optics were unnerving: a white woman, supervising from the second floor, sends her message via text to her assistant to ask the two Latinos to leave while the African American security guard has to look on. The point of this specificity is not to shame the literary organization, but to illustrate how such dynamics of race and power are not lost on those of us whose writing questions, unpacks and critiques authority, policy and boundary. I left without a fight because I have to choose my battles wisely— most of the emotional energy comes from being on the defensive. Plus, I was a man doing a job, being the consummate professional with a suit and a briefcase. My business attire didn’t rescue me. I didn’t explain who I was because it shouldn’t matter that I am an award-winning writer to have to earn entrance into such a place. Yet it still stung to be told I didn’t belong. As I exited the building, I felt as if I didn’t deserve to be a part of any literary establishment at all. That emotion was short-lived, thankfully, though its demise couldn’t come fast enough. Unfortunately, apologies and explanations after the fact do not take away the strain on the heart. I can forgive, but I will hardly forget. And I have to remind myself that those identities that bring me the most pride — being Mexican, being an immigrant, being gay — are also what make me the most vulnerable in certain situations. And since the current political climate textures my everyday experiences, it’s hard not to take any affront as a hostile act against my journey, my history and even my communities. In order to avoid boiling with bitterness and anger, I write it out and thereby don’t have to shoulder the burden alone. Turning a moment of dismissal into a moment of reflection and awareness gives it meaning. Grievance gains more substance that way. So this is my invitation to everyone to participate in the conversations about the uncomfortable interactions that many of us have to navigate. It’s critical to move these anecdotes beyond the support group, the complaint department and the suggestion box and into the general consciousness otherwise we suffocate behind closed doors, silent and misunderstood. Here’s how to start that process: Learn about who we are by inviting us in, by reading our books. González, an award-winning poet and author of a dozen books of prose and poetry, is professor of English at Rutgers-Newark and one of the L.A.Times’ critics at large. You are cordially invited to the next installment of the Desmantelando Fronteras/Breaking Down Borders webinar series. This event will feature speakers Lefteris Becerra, a Social Sciences Graduate student studying at Universidad Autónoma de Baja California Sur, and Dr. Janet Ceja and Dr. Mónica Cólon-Aguirre, assistant professors in Library and Information Science at Simmons College. In the Mexican state of Baja California Sur, there is no institution charged with the stewardship and administration of its audiovisual patrimony. During this talk, Lefteris Beccera will lay down the framework for the configuration of a local audiovisual archive oriented towards user’s access to the state’s filmography, aided by digital technologies, which forms the basis of his research project: Formulación de propuesta para la creación del Archivo Audiovisual de Baja California Sur (1895-2016). Currently, he is a visiting researcher at Simmons College under the direction of Dr. Janet Ceja. As the systematic detention and deportation of immigrants continues to threaten families and communities across the United States, archivists and librarians have an educational and humanitarian role to play in disseminating information on civil and immigrant rights. In this presentation, Dr. Janet Ceja and Dr. Mónica Cólon-Aguirre, will discuss the “records issues” embedded in the information needs of immigrant communities during immigrant raids. Dr. Ceja and Dr. Colón-Aguirre are working on the Latino Literacy, Librarians and Archivists in Boston project, which focuses on identifying and linking the information needs of the Latino community to outreach services conducted by librarians and archivists in Boston, Massachusetts. Project funded by the Emily Hollowell Research Grant. Come see the theater adaptation of King of Cuba, a darkly comic portrait of an aging dictator, his nemesis, and a rabble of Cuban voices. A fictionalized Fidel Castro grapples with the stale end of his life, vowing to salvage the legacy of his nearly sixty-year revolution. Goyo Herrera, an octogenarian Miami exile, plots revenge against his longtime enemy–the very same El Comandante–whom he blames for stealing his beloved and ruining his homeland. Starring the legendary Marga Gomez as El Comandante! With: Zuzy Martín Lynch, Fernando Pujals, Jose Enrique Pardo, Chris Gueits, Achy Obejas, and Claire Calderón. Live music by Cuban percussionist, Carlos Caro. Discussion with the playwright to follow the reading. The Momentum Fellowship is designed to prepare professionals from underrepresented communities, particularly communities of color, for successful careers in the philanthropic sector through professional development, networking and mentoring opportunities. The Momentum Fellowship grew out of discussions among members of our CEO cohort on diversity, equity and inclusion, who were interested in encouraging more individuals from diverse backgrounds to commit to careers in the philanthropy and nonprofit sectors. The fellowship offers a robust learning experience, both through activities at host site foundations — where fellows will be placed — and through a suite of programming and network opportunities coordinated by Philanthropy Northwest. Foundations currently participating in our second fellowship cohort include: The Collins Foundation, Empire Health Foundation, Marguerite Casey Foundation, Meyer Memorial Trust, Rasmuson Foundation, Whatcom Community Foundation and Women’s Foundation of Oregon. Philanthropy Northwest is excited about the potential for this program to help expand pathways for diverse professionals interested in philanthropy and to broaden the diversity of viewpoints within the sector. Fellows will be placed in two-year full-time positions at host foundations, specific to host foundation needs described in the fellow position description. Over the course of a program designed by Philanthropy Northwest, Momentum Fellows will receive professional development and networking opportunities. This includes peer-learning retreats, trainings offered through Philanthropy Northwest, networking and professional coaching. High-potential individuals who have a commitment to bringing new perspectives, ideas and viewpoints into the field by their ability to bring a lens of equity and inclusion to their work. Candidates should come from a community that is currently underrepresented in philanthropy, such as a community of color, LGBTQ, disability or other group. Fellows’ levels of professional experience may vary — please see individual job descriptions for eligibility requirements. Preference will be given to past or present residents of the Pacific Northwest, with a willingness to commit to service in the region. Please see each position description for the salary range. Salaries and benefits are competitive for type of position and the area in the region. Applications for the Momentum Fellowship are currently open until April 5, 2017. Apply to a fellowship position below.